After recording the forth episode of SuperNova cast I started thinking about my Game Gear…The good times, the bad times, the carpal tunnel, and the 10,000,000$ worth of allowances in batteries… So in this a blast from the past I am going to walk you through the tires and trials of the Game Gear. 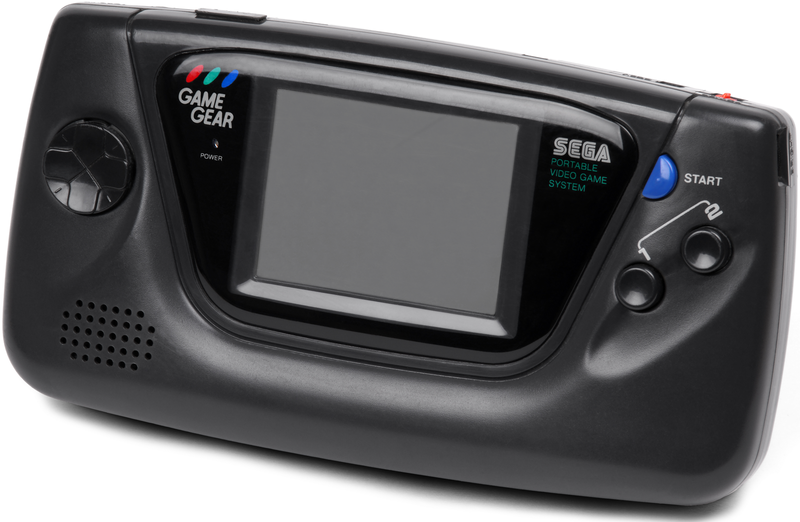 The game gear was first released into our hearts in the grand old year of 1991. The Game Gear was released as portable Sega master system which offered a full, 32-colour, 160 x 144, 3.2 inch screen. This was huge at the time considering the competition was a simple monochrome screen with not 1, or 2, or 3, but 4… 4 shades! On top of that the screen was fully back-lit, which means I was able to stay up all night playing in the dark on a school night without having to worry about leaving my bed room light on, or about buying an external light source. Using this screen you were also able to turn it in to a mobile TV with their adapter…Which was amazing at the time. To run this beast the Game gear packed a whooping 8 KB of ram, with an additional 16 KB of dedicated Video ram, all controlled by a massive 3.5 MHz Zilog Z80 Chip set… which by the way was first designed for military purposes in 1976! To power all this the Game Gear required 6 AA batteries which lasted on average 3 hours…Ouch! I think I spent more time running around looking for batteries than I did actually playing the console. There was a charging cable for the Game gear to play continually, but this really limited the portability.. Come to think about it my 3DS gets about 4-5 hours on a fully charged battery…But at least it has a built in battery….Silver lining! Sadly with all this power and the wonderful screen, the Game Gear did not make much of an impact on the market. The Game Gear sold roughly 11 million unites world wide, this poor performance can be blamed on several reasons. The First is mainly due to Sega, they focused all their energy on home entertainment systems (Sega CD, Sega 32x, and development of the Sega Saturn). Secondly Nintendo Launched the Gameboy pocket, although this still had a monochromatic screen that still only contained 4 shades, it was much smaller and was able to run off two AA batteries. 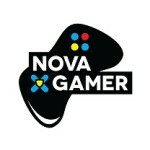 This is a significant factor in mobile gaming! The Gameboy Pocket weighs in at 148 grams….where the heavy weight Game gear was a minimum of 400 grams! This weight only climbs once the battery extenders were added. 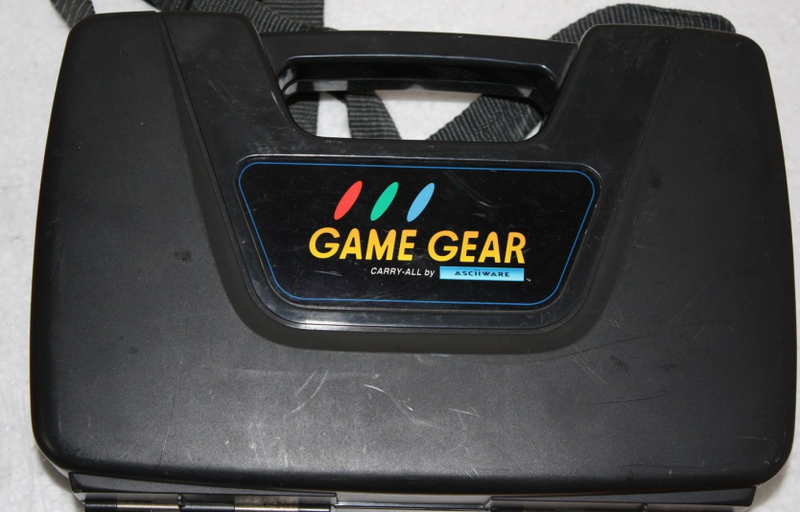 Just think about that for a second, the Game gear weighed just over a pound with the battery pack! The Game Gear was also unable to fit into the average pocket, In fact I would be afraid to meet the kid that could hide one in their pant pocket…he/she would be the BIGGEST kid on the play ground! To fix this Sega released a brief case to carry around your “mobile device” with all your accessories. This not only looked ridiculous, but it actually made you a target for theft! People knew exactly what was in it, and roughly how much it is worth…Two of my friends had theirs stolen from them in an Air port. The Gameboy pocket on the other hand fit right in your…umm…well pocket. Sadly The Game Gear was phased out and by 1997 Sega stopped all support for the “little” handheld that could. Maybe if Sega cornered the hand held market rather than focus their energy on the next gen home entertainment system they would still be around making games and systems…then again maybe they would have crashed harder and faster. Who knows! I do know that my Game Gear is still around and likely still works…Just not entirely sure where it is in my parents house. You will be missed!